If you have a common name, people say your name correctly. If you have an uncommon name, you have a decision to make. Do you correct someone who butchers your name, or let it go? Common first names reflect the ethnicity of the majority culture or become popular because of a public figure. Look at the names on the top 100 list from Social Security. If you grew up with a common first name, people generally said your name right; most people can say Tyler or Dylan and don’t get hung up on the Y. Common names are accepted names. They bring with it a feeling of being accepted in the society. We all have the choice to abandon our given names for “acceptable American” names. Some people take on their middle names or a nickname to get away from the unique choices of their parents. Immigrants adopt an American nicknames rather frequently. For those who keep their ethnic or unusual name, I suggest creating a rule for yourself. Once you have done your part to tell people you name, you can move on. It is their problem, not yours. Don’t let it bother you. If the relationship continues, someone will correct them. They then have the opportunity to be embarrassed or not. Depending on whether it is a manager-employee relationship or a social one, the level of embarrassment is greater if your social power is closer to that of the mispronouncer. This goes doubly for people who are running for office; the candidate’s name is butchered, but once elected, they’ll know how to say it. My name is Rona. R-O-N-A. Four letters, two syllables. The O is a long O. The A is a short A. It should be easy. It’s not. I had a rule growing up. I pronounced my name three times, when someone mispronounced it; then I gave up. Sometimes I mentioned it three times, all at once. Sometimes I correct them over years. Why is this a microaggression? Because, people who talk to me should care to say my name properly. Rona is less complicated than Jacqueline or Aaron. Yet it is ridiculous that someone would fail to say those names properly. Why? Because they are majority culture names and mine is not. I can be generous and say that they are spacey people, or never heard the name before, didn’t hear me, or didn’t take the effort to listen. It is a microaggression that they don’t have to learn a new name because, well… because. If I were part of the majority culture, I would have a “normal” name, like Cynthia. I have had people argue with me that Rona must be a nickname. Didn’t my parents know the name is really Sharona, or Veronica? I’ve had people insist that my name is pronounced Ron-na (short O and A) and it is a feminization of Ronald. Well, it’s not. It’s from Hebrew. At best, it’s an annoyance. At worst, it is overtly disrespectful. When someone does not have to learn how to say your name, they are directly or indirectly showing that you do not have a strong place in the situation. The boss can mispronounce your name, but you know how to say the boss’s name, right? In a job interview, it is awkward when the interviewer can’t or won’t say your name properly. It is awkward to correct them. Both sides of that awkward fall on the person being interviewed. Think about “Black” names. Have you paid attention enough to learn how to say them? If someone named Ta-Nehisi applied for a job in your firm, would you figure out how to say his name? Or can you say Ta-Nehisi because he wrote an important book that “everyone” is reading? What about these? Thank you for sticking with me while I ranted. I, personally, am merely annoyed. There are people who are economically harmed by their names. More on that another day. BTW, my name is from Hebrew and translates, roughly, as joyously or passionately. I was well named. Cool maps on the most common names in America. Male names. 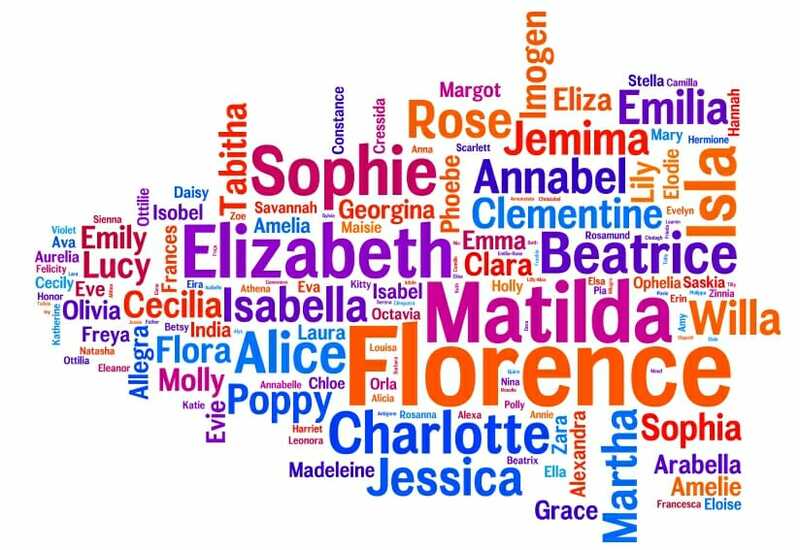 Female names. One Response to "Microaggression: When Your Name Doesn’t Matter"